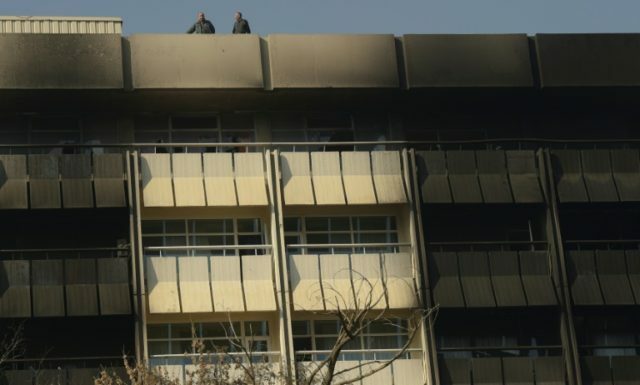 Kabul (AFP) – Afghanistan’s Kam Air has been left reeling after nine personnel including five pilots were killed in the Taliban attack on a Kabul luxury hotel where the airline housed its foreign staff. Forty Kam Air employees were at the Intercontinental Hotel Saturday night when gunmen opened fire on guests and employees, killing at least 22 people including 14 foreigners. The slaughter has left the company deeply shocked and struggling to maintain its flight schedule as employees try to come to terms with the loss. “We trusted the security of the hotel, we trusted the administration, we trusted the government. But now our foreign pilots and crew members are dead and the rest (of the) survivors were so traumatised that we had to send them back to their home countries to recover,” senior vice president Farid Paykar told AFP Monday. He said seven of the nine victims were from Ukraine and two from Venezuela. Five were pilots and four were crew members. The Taliban assault lasted for more than 12 hours until the attackers were killed by Afghan security forces. The militants targeted foreigners, multiple sources have told AFP. Most of the airline staff survived by hiding in their rooms, Paykar said, waiting in silence as the gunmen went from door to door breaking them open with knives and killing those inside. “Who would trust to come to Afghanistan following this incident?” said Paykar. The state-owned 1960s hotel, not part of the global InterContinental chain, was thought to be secure and protected, he said. But witnesses have claimed that the hotel’s security guards fled the attackers and left guests to their fate. Hotel security was taken over by a private company three weeks ago. Kam Air officials have said most flights have had to be cancelled and schedules changed. “I don’t think our operations will recover for weeks and probably months,” Paykar said. Airline CEO, Captain Samad Usman Samadi, said staff had been shocked and would take “some time” to recover. It is also not clear where the airline will now house its foreign staff while they are in Kabul, which is one of the deadliest places in war-torn Afghanistan for civilians. Kam Air, founded in 2003, serves nine cities in Afghanistan and several regional destinations such as New Delhi and Islamabad, Central Asia — Tajikistan, Uzbekistan and Kazakhstan — as well as Turkey and Saudi Arabia.